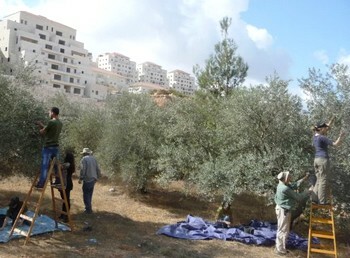 The JAI together with the Alternative Tourism Group (ATG) are organizing the 12th annual Olive Picking Program of 2015. This agricultural event is of special significance to the Palestinian economy when all energies and efforts are mobilized. The cost of the program including accommodation in a double room, meals, guides, local transportation and other relevant expenses is $700. Requesting a single room at the hotel would cost the participant $200 Extra. Any extra night(s) accommodation (before the night of the 10th/11th of October, or after the night of the 18th/19th of October 2015) is beyond the scope of the program and the participant has to pay extra for.